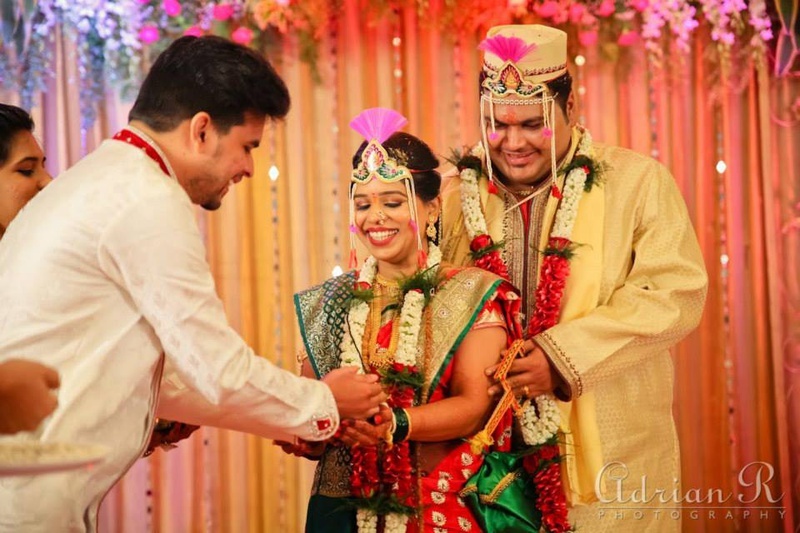 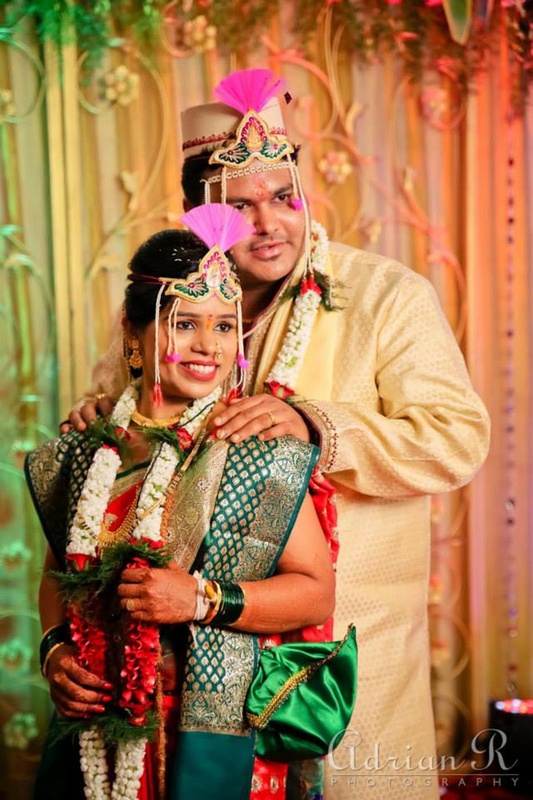 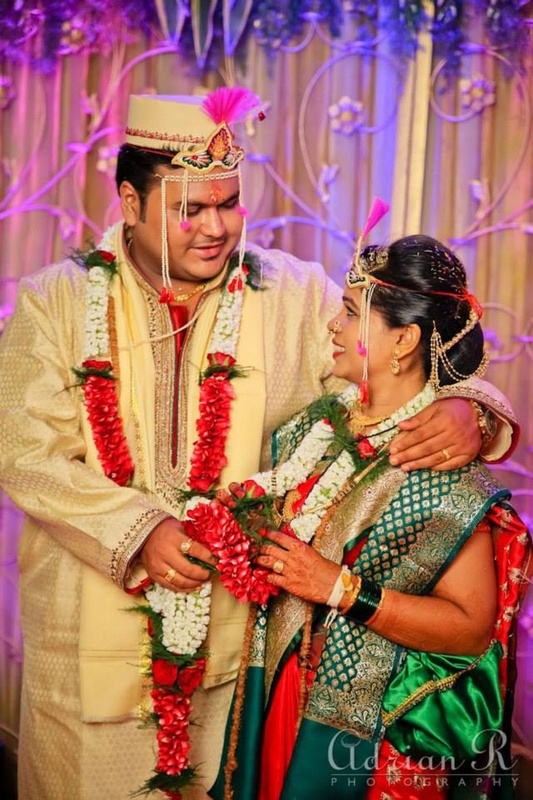 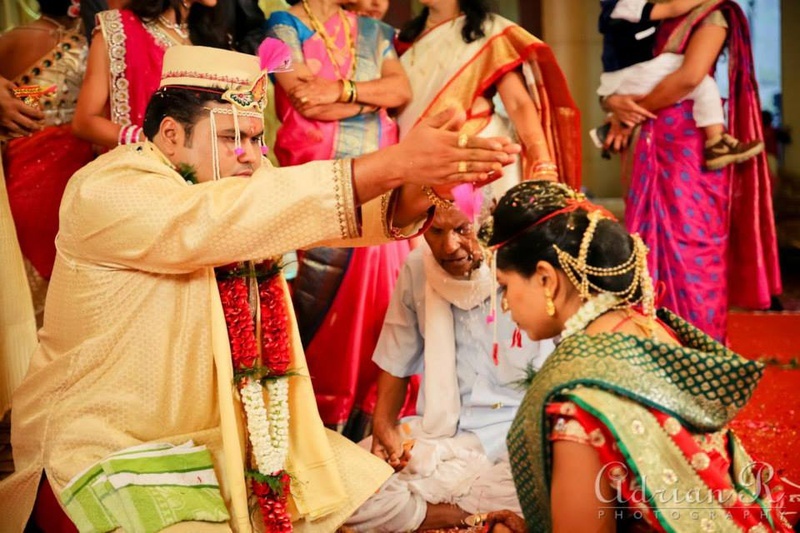 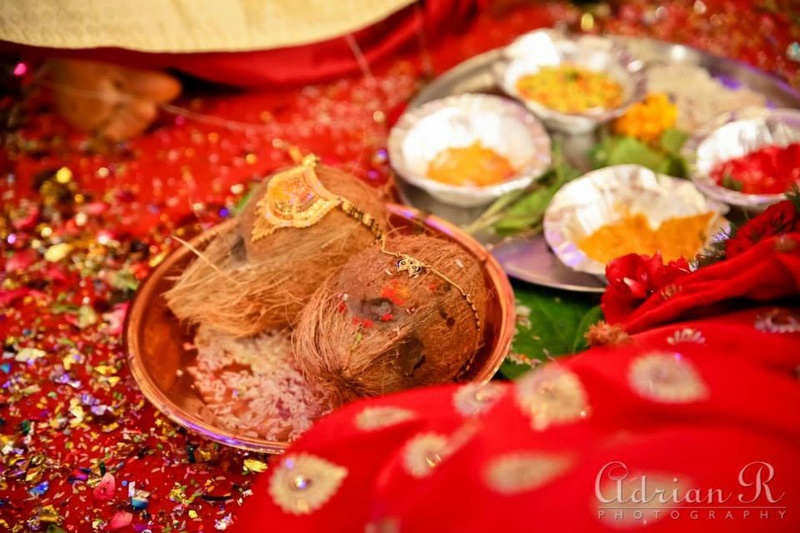 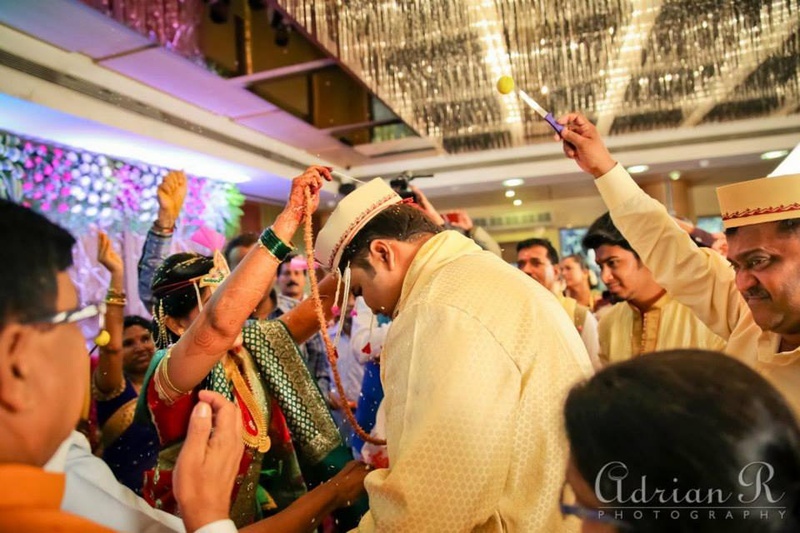 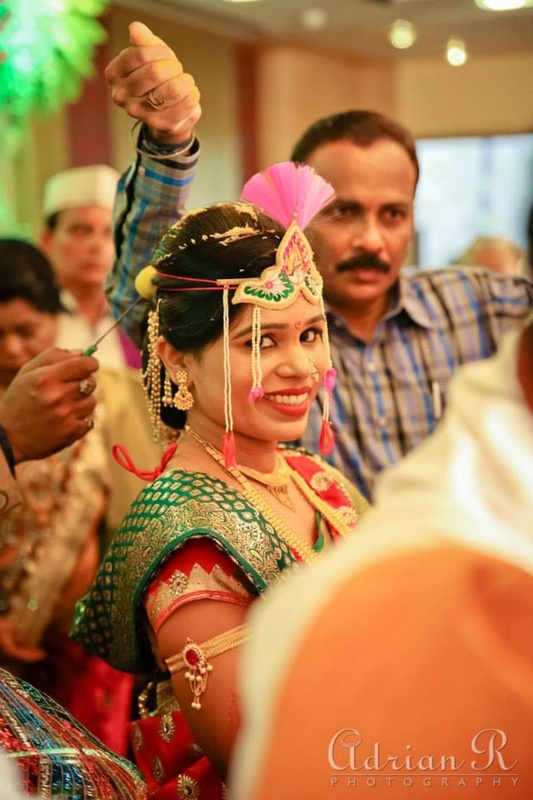 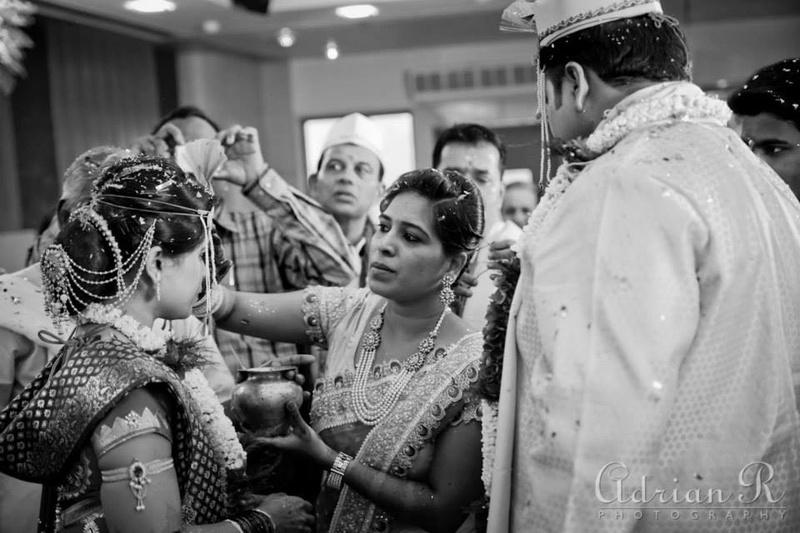 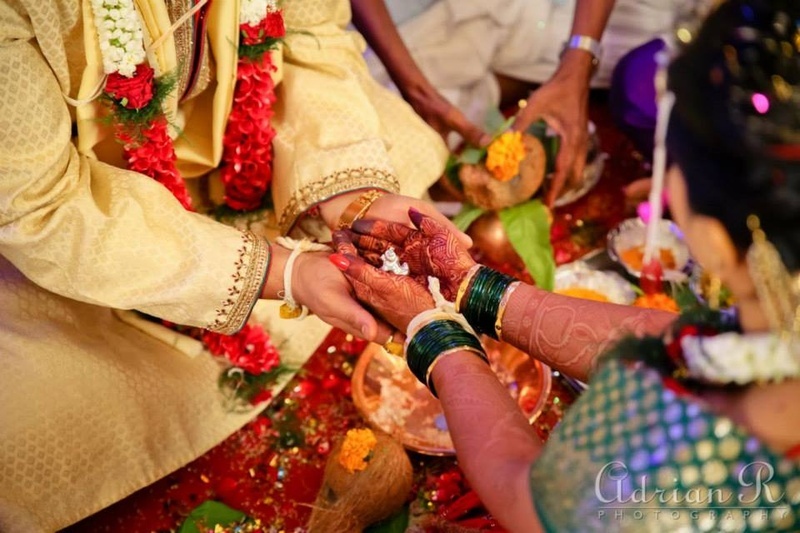 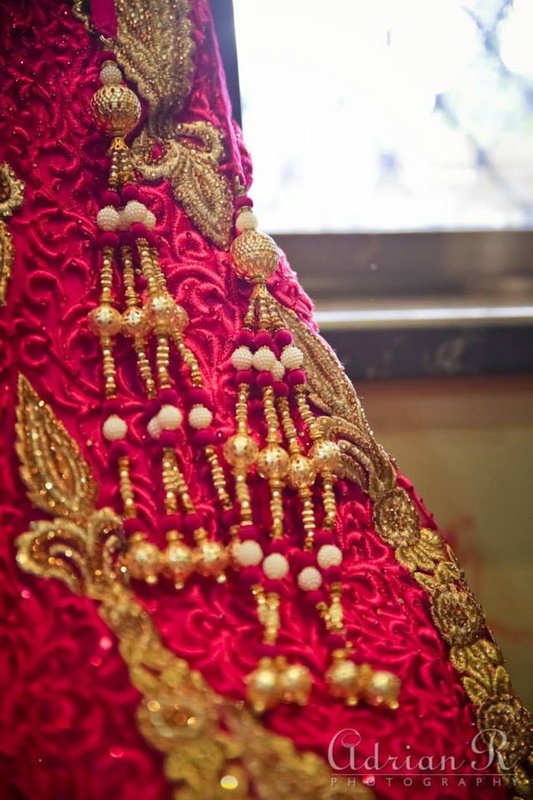 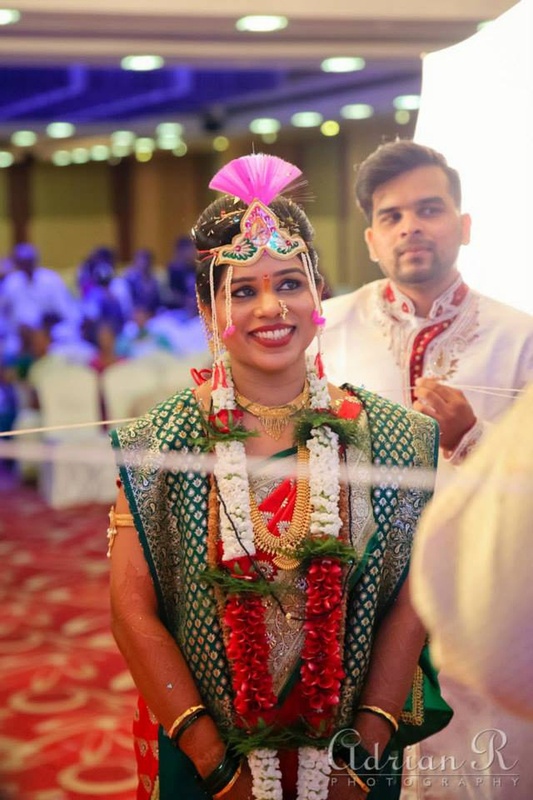 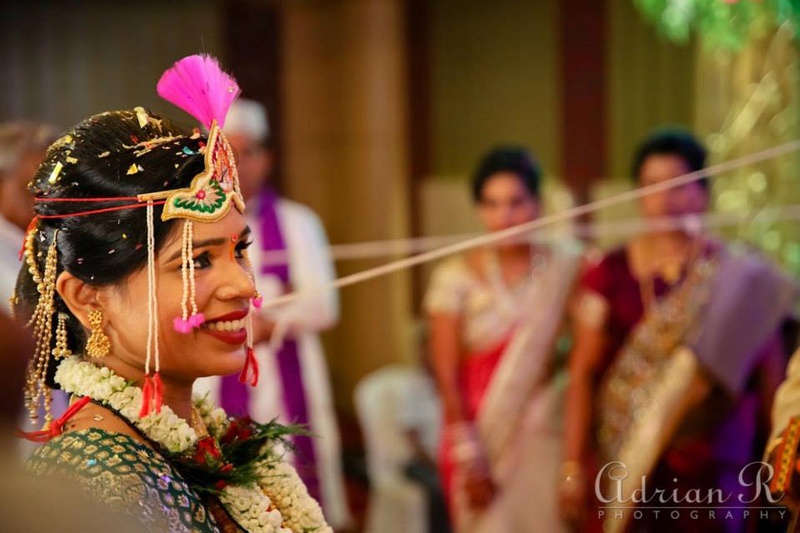 Sasmit and Rasika tied the knot at the Asian Banquet Hall in Bhandup, Mumbai on May 31, 2015 in a traditional Maharashtrian wedding ceremony. 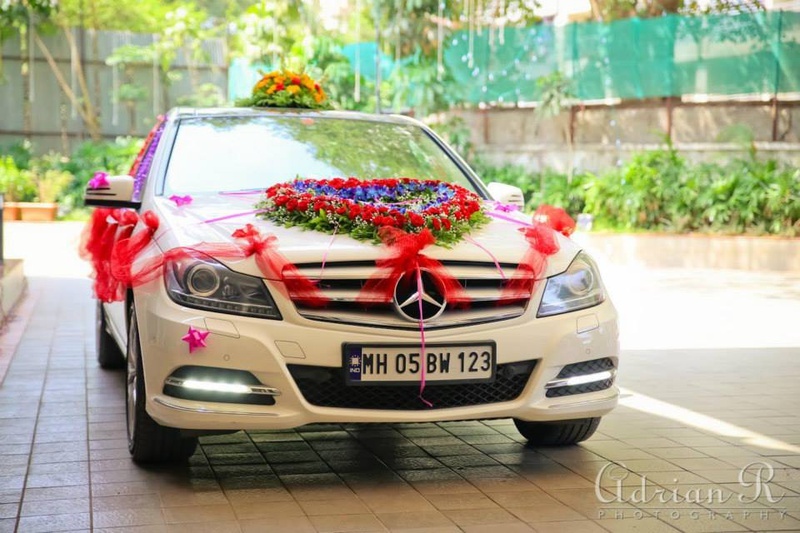 With red satin cloth, pink stars and a heart shaped floral bouquet on the wedding car, Sasmit arrived in a Mercedes Benz to the venue. 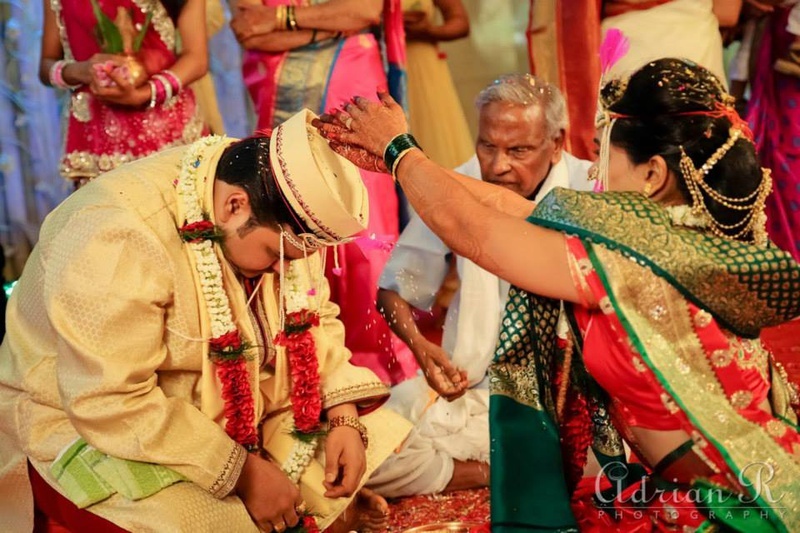 He was dressed in a traditional outfit wearing a cream kurta pyjama with a matching head gear. 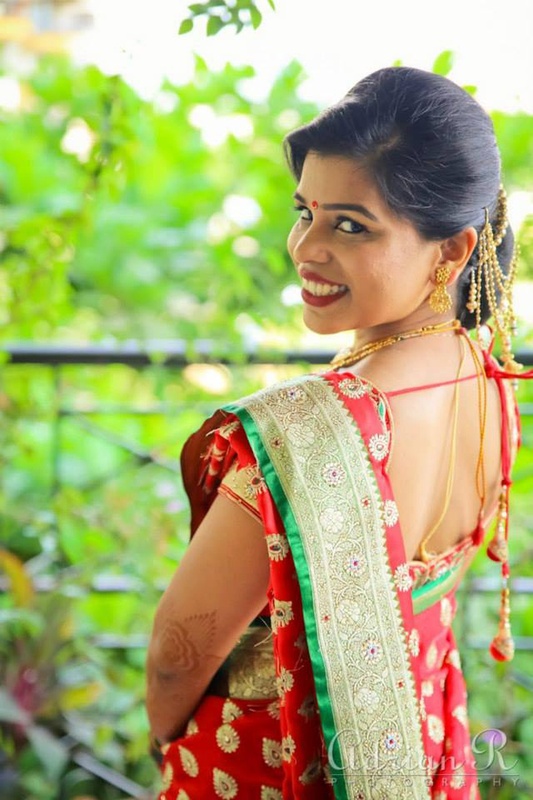 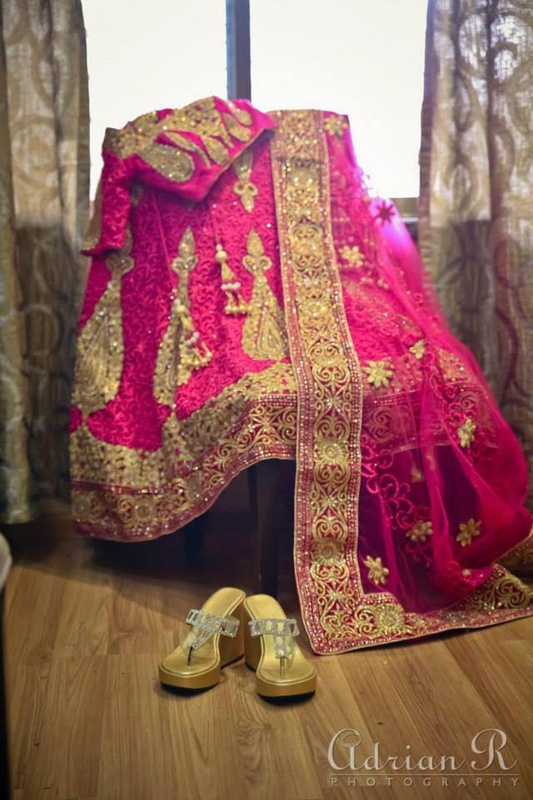 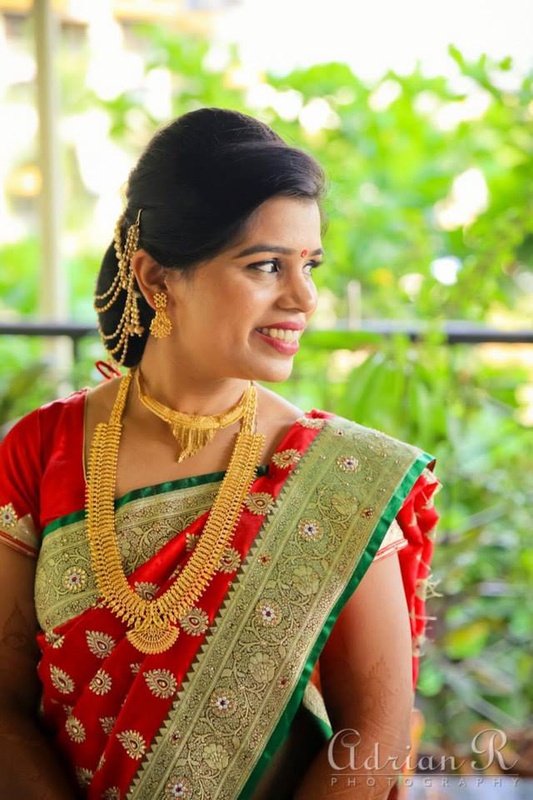 Rasika wore an ethnic saree with floral borders and beautiful embroidery done on her traditional outfit. 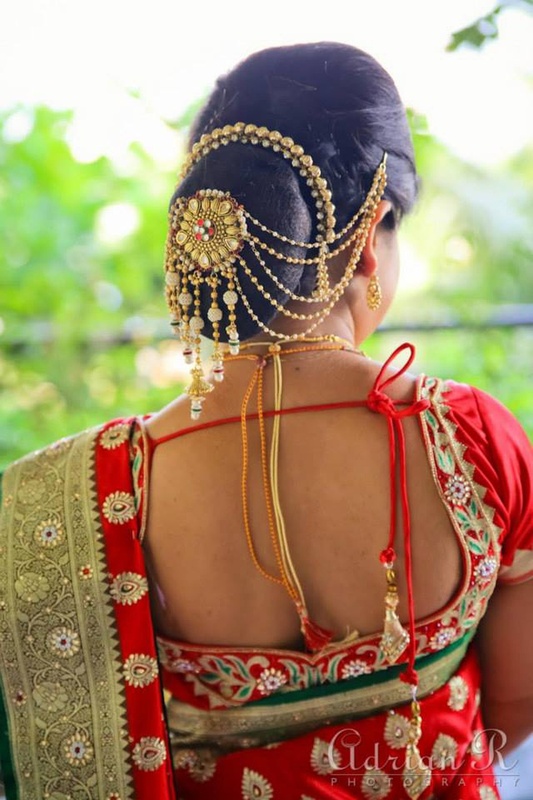 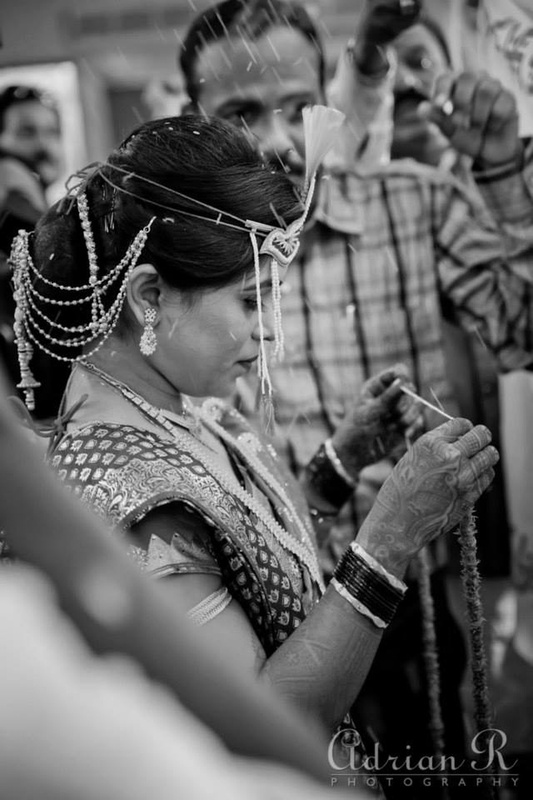 She also adorned herself with a huge gold necklace and a small pair of glittery ear rings. 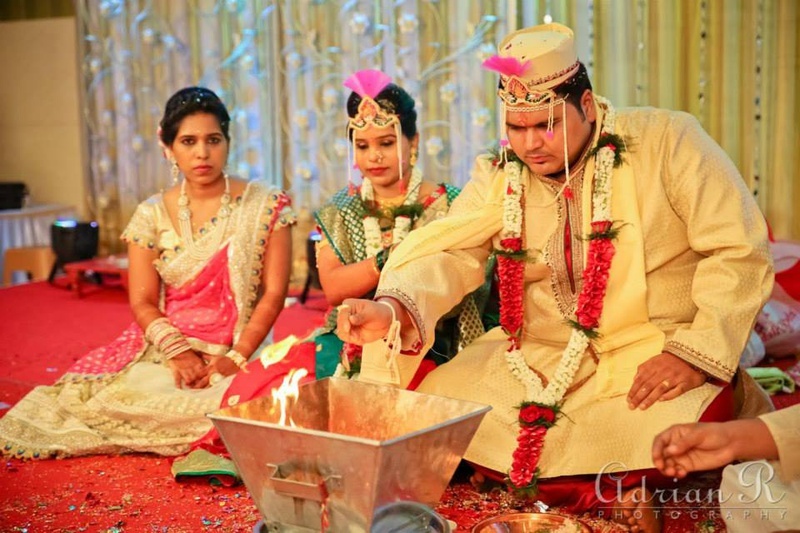 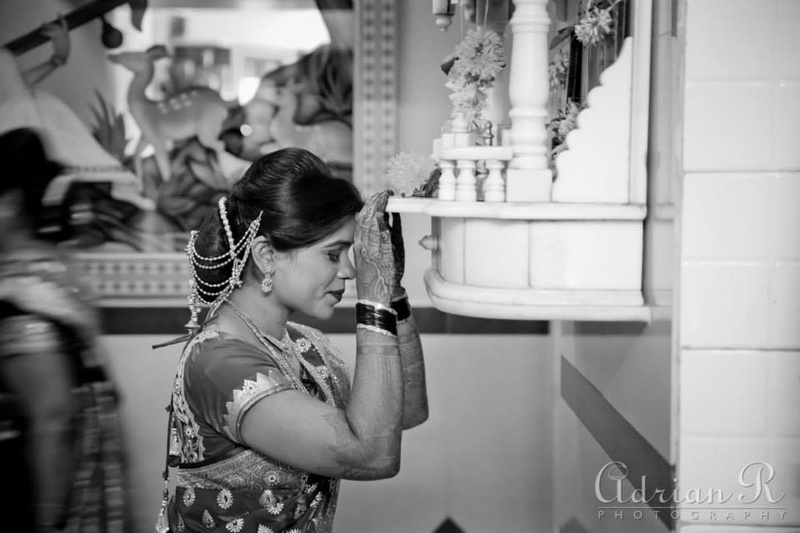 The Antarpat Ceremony was organized indoors with décor and lightings that added a sophisticated touch to the wedding. 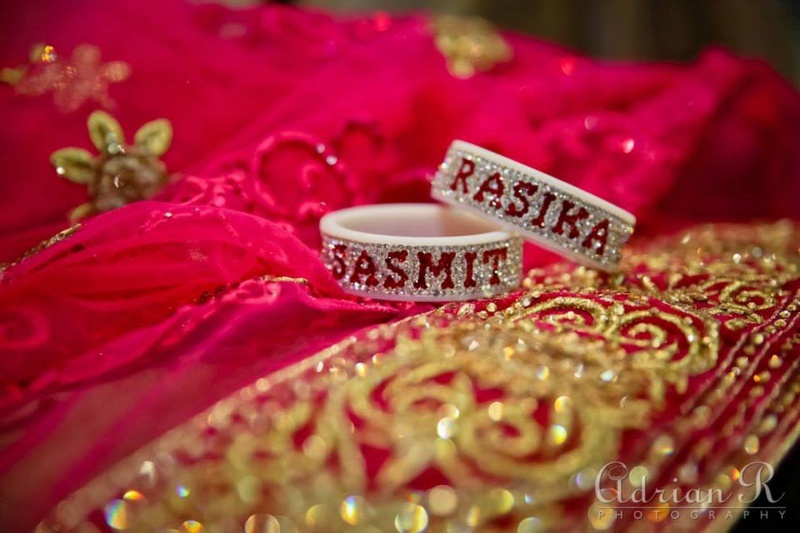 Sasmit and Rasika looked very cute with matching mundavalyas. 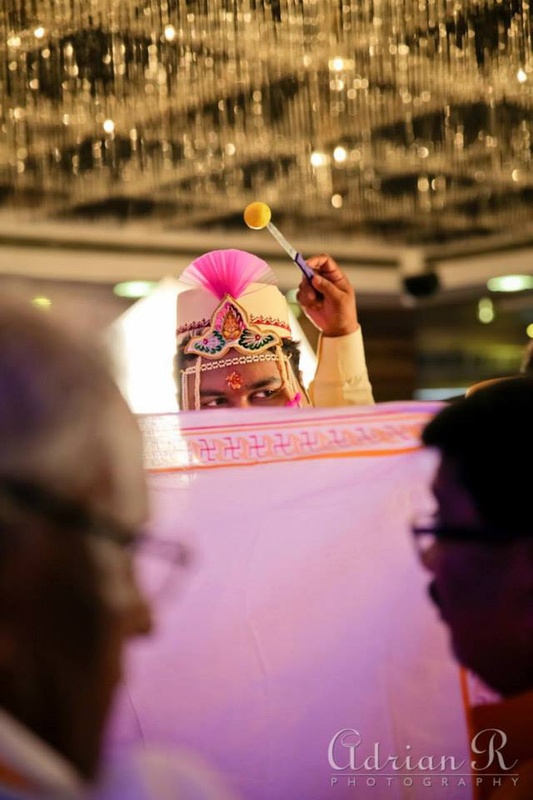 The bride and the groom made a dancing entry in their exceptional evening outfits, at the reception. 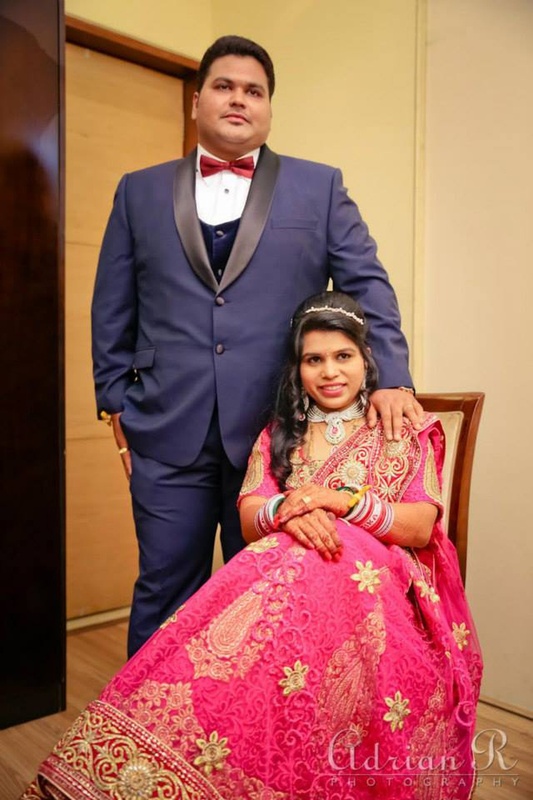 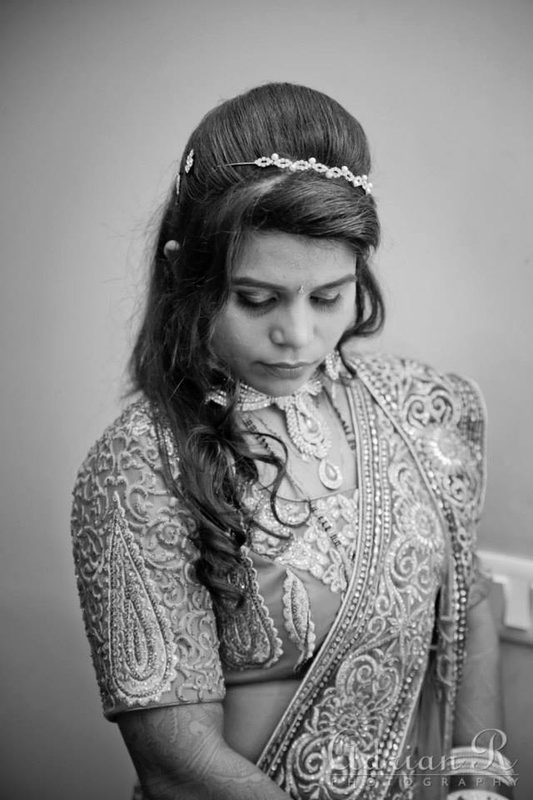 Sasmit wore an elegant navy blue suit from Raymond and Rasika opted for a chic designer wedding lehenga. 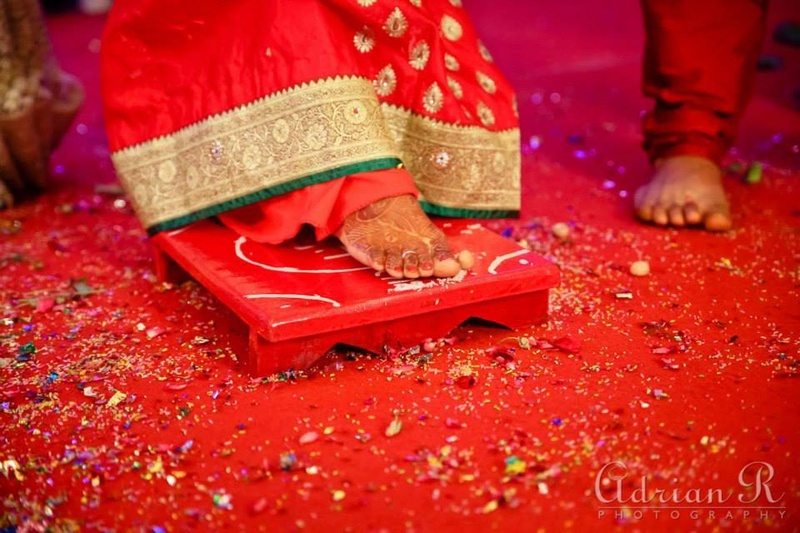 For the lovely couples out there who are planning or thinking to get married in the near future. 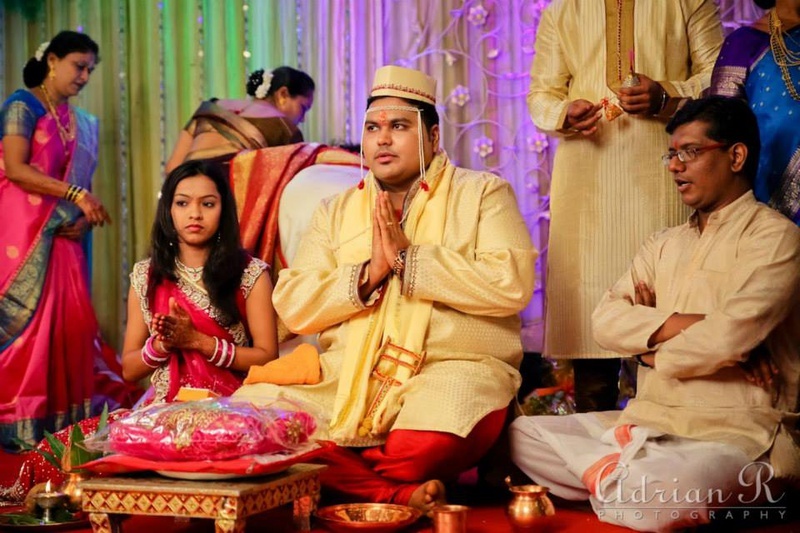 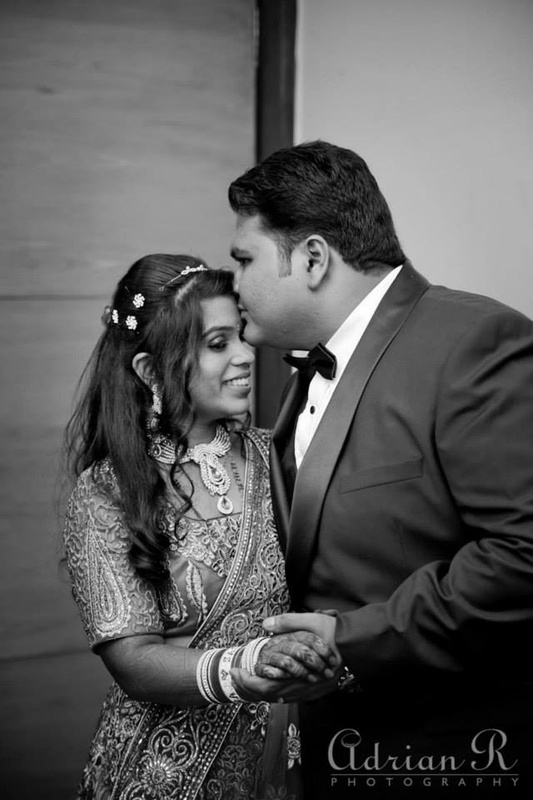 Sasmit and Rasika advices them to just KISS (Keep It Simple And Sweet) on the big day! 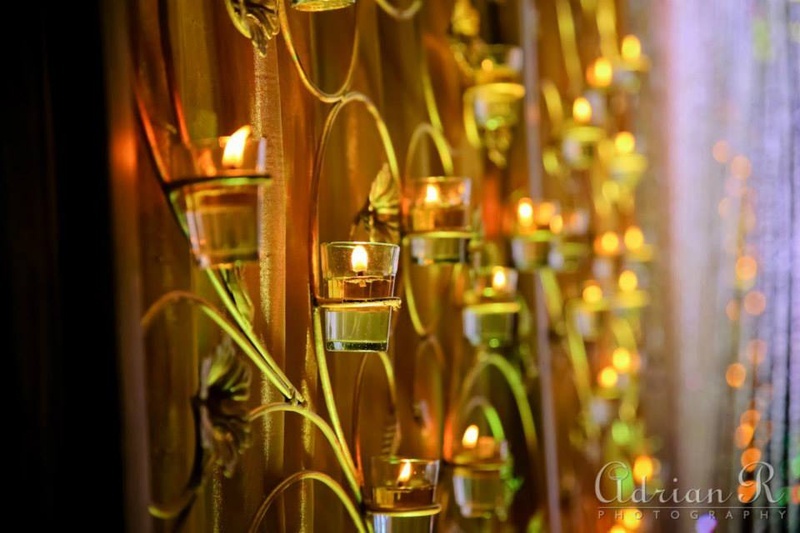 Try and be calm, don’t panic and if possible head for a relaxing spa.